iPhone XR, iPhone XS, iPhone XS Max: Which is your best choice? Vote for your favorite new iPhone. Which New iPhone Is Your Favorite? Vote: iPhone XS, iPhone XS Max, iPhone XR. Which one do you prefer? 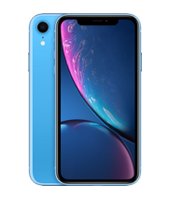 New 2018 iPhones eventually released: iPhone XS, iPhone XS Max, and iPhone XR. Each one has its own fascinating points. Options are available both for users who have adequate budgets and those who are price-sensitive. So, which one of iPhone XS, iPhone XS Max, and iPhone XR is your ideal choice? Give your vote. Congratulations on getting a new 2018 iPhone. Before you move all data from old phone to the new iPhone XS, iPhone XS Max, or iPhone XR, you'd better do the following preparations first. The preparatory work will help you transfer to your new iPhone XS, iPhone XS Max, or iPhone XR more smoothly and safely. When do people lose phone data most around a year? The answer is when there is a new phone released, especially Samsung and Apple devices. So before transferring to new iPhone XS (Max)/XR, do remember to backup data on your old phone first. It's always better safe than sorry. Connect your Android/iPhone to dr.fone. 1 click to backup the device in minutes. Back up old devices selectively. Restore the backup to new iPhone flexibly. Apple provides both iCloud and iTunes for iOS users to back up their old iPhone. Nevertheless, the iCloud and iTunes backup files are not viewable, and inconvenient to restore when your new iPhone XS (Max)/XR already have some data. Cannot selectively backup and restore your iPhone. iCloud backup can be restored only after you reset your new iPhone XS (Max)/XR. You can only restore the entire iTunes backup, which will overwrite the data on new iPhone XS (Max)/XR. Most Android devices also have their official ways to backup the device, such as Samsung Smart Switch. 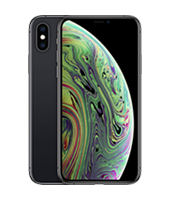 But it will not be easy when you want to restore the backup to your new iPhone XS, iPhone XS Max, or iPhone XR. Most official ways don't support all data types. A lot of users meet issues when using official solutions, such as Smart Switch. How to activate iPhone XS (Max)/XR? When you get a new iPhone XS, iPhone XS Max, or iPhone XR, the first thing you need to do is to activate it. The activation process is actually very simple. If you are new to iPhone, you can follow the 2 ways below to activate your new iPhone XS, iPhone XS Max, or iPhone XR. Turn on the new iPhone, choose Language. Select your country or Region. If you have another iOS device on iOS 11 or iOS 12, you can use the Quick Start feature to setup iPhone XS, iPhone XS Max, or iPhone XR. If you don’t have another iOS 11/12 device, tap Set Up Manually to continue. Choose the Wi-Fi network, and enable Location services. On the App & Data screen, you can choose to Setup as new iPhone or restore from backups. Sign in your Apple ID and follow the instructions to setup Siri and other services. Launch iTunes on your computer and update iTunes to the latest version. Sign in your Apple ID with iTunes. Connect the iPhone XS (Max)/XR to the computer via USB cable. Turn on your iPhone and connect it to computer. Choose the right Language and Region. On iTunes, you can choose Set up as new iPhone or Restore from iTunes backup. You can choose either option. Choose either option and click Get Started. When it's finished, follow the instructions on your iPhone XS, iPhone XS Max, or iPhone XR to setup other services. Requirement: latest iTunes / unlocked iPhone. If your iPhone XS (Max)/XR is locked to a carrier, you need to insert the SIM card too. 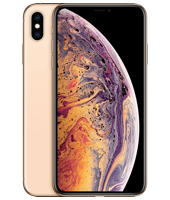 Why Choose dr.fone to switch to new iPhone XS (Max)/XR? Move to iOS is made to transfer data from Android devices to new iPhone. But it only works during the iPhone setup process. If your iPhone XS, iPhone XS Max, or iPhone XR is already set up, you need to reset it first. With iCloud or iTunes, we can also restore the backup content to new iPhone. But usually it will take a very long time and unexpected situations happens a lot. But with dr.fone, we can transfer everything from old phone to new iPhone XS (Max)/XR selectively, without affecting the existing data on your new iPhone. Switch to new iPhone XS (Max)/XR in 1 click! 1 Click to transfer everything to new iPhone from old iPhone/Android. Easy and Fast! Transfer Contacts, Messages, Call history, photos, Music to new iPhone XS (Max)/XR. Work perfectly with more than 6000 Android and iOS devices. Download and install dr.fone on PC/Mac. Click Switch on dr.fone and connect the new and old iPhones to computer. Choose data categories and click "Start Transfer". Tap Settings > [Apple ID] > iCloud >iCloud Backup > Back Up Now on your old iPhone. Turn off the old iPhone and remove the SIM card. Insert the SIM card to your new iPhone XS, iPhone XS Max, or iPhone XR. Turn on the new iPhone XS, iPhone XS Max, or iPhone XR and follow the instructions to set it up. On the App & Data screen, tap "Restore from iCloud Backup". Sign in to your iCloud account, choose the backup you want to restore. Then it will take a while before data are transferred to new iPhone completely. Launch iTunes and connect your old iPhone to computer. Click on the iPhone icon in the menu bar, and then click Back Up Now. Unplug the old iPhone once the backup is finished. Turn off the iPhone and remove the SIM card. Insert the SIM card to your new iPhone XS, iPhone XS Max, or iPhone XR and connect it to the computer. Slide to setup the new iPhone. On the App & Data screen, tap Restore from iTunes Backup. On iTunes, choose the latest iTunes backup and follow the instructions to transfer data to new iPhone. Click "Switch" on dr.fone and connect both Android and new iPhone to computer. Choose desired data types and click "Start Transfer". Set up your new iPhone XS, iPhone XS Max, or iPhone XR until you reach the screen titled "Apps & Data". On your Android phone, download Move to iOS app from Google Play. Open the Move to iOS app listing and tap Install. Open Move to iOS app, tap Continue on both devices. On your Android device, enter the 12-digit code displayed on the new iPhone. Then two devices will be connected over Wi-Fi. Choose the data to transfer to new iPhone. Privacy is the first thing you need to pay attention to. Our devices contain banking information, logins, emails and so much more. Completely wiping everything on your old phone will not only give the new user a clean slate but also protect you from any malicious attacks, identity theft, financial fraud or misuse of private photos. Here we suggest 4 ways to deal with your old devices after you switch to new iPhone XS, iPhone XS Max, or iPhone XR. This is the most important thing you need to do before selling or giving away old phones, so your privacy doesn't end up in the wrong hands. There are many ways to delete privacy data, but using a professional tool such as dr.fone - Erase (iOS) is the easiest and safest option. No matter what dinosaur your phone is, your best option is probably Amazon's Trade-In program. You will need to answer a simple question and then Amazon will offer you a flat-rate gift card that is basically determined by the 3 Cs of phone trade-ins: carrier, capacity and condition. eBay is another one of the best places to sell your old phones, as it provides both the seller and the buyer protection, people are more comfortable buying from strangers with protection. But eBay charges 10% of final value as a sales fee. On eBay, you can either choose List it yourselt or Sell it with Quick Sell. 11 major carriers also provide buyback programs for your old phones to be refurbished and resold, or recycled properly. Especially, In Sprint, you can trade in up to five old phones per active line in a calendar year. And you can always check the credit value of your device online beforehand. Bored by Samsung phones? Then the new iPhone XS (Max)/XR are the best alternative. Learn the full guide to transfer data from Samsung to iPhone XS (Max)/XR. New iPhone XS (Max)/XR eclipse old phone models in features and optionality. But before reading this guide, don't say you actually know how to transfer data from old iPhone to iPhone XS (Max)/XR. Nightmare to fail to transfer Android messages to your newly got iPhone XS (Max)/XR. This informative post shows 100% working solutions to transfer messages from Android to iPhone XS (Max)/XR. When it comes to transferring data or files from your computer to your new iPhone XS (Max)/XR, there are a lot of easy and fast ways to do that, whether you want to do it with or without iTunes. In this article I am going to introduce 7 iPhone contact transfer software and apps that you need to use for transferring your contacts to a new iPhone XS, iPhone XS Max, or iPhone XR. In this informative guide, we have come up with 4 stepwise solutions to help you add ringtones to new iPhone XS (Max)/XR. Read on and learn how do you add ringtones to iPhone XS (Max)/XR without any trouble. After buying a new iPhone XS (Max)/XR, a lot of users might ask “how to transfer contacts to my new iPhone?” Here in this article, you will learn 4 different ways to import contacts from old iPhone to iPhone XS or any other new model. To make things easier for you, we have selected the best free contact manager for new iPhone XS (Max)/XR. Read on and learn in detail how to edit, add, merge, or export iPhone XS (Max)/XR contacts on PC.